Is true personal freedom your ultimate goal? If so, what does freedom look and feel like for you? Simple yes, but profoundly true. Sometimes we need to go back to basics, and I think this is particularly the case with sleep. So many of us who operate in a high performance culture, where demands and expectations are ever increasing, juggling family life and commitments, as well as trying to find time for ourselves. It's not surprising then, all of this often leads to compromise or even neglect of sleep. Unfortunately lack of sleep is accepted in our western culture and dare I say even "encouraged." However, even with a little bit of research you'll discover, the damage done to our physical and mental health is shocking! The knock on effect can also be felt on relationships, performance and general wellbeing, making lack of sleep something that has the potential to impact every aspect of our lives. It's not unusual then for short spells of sleep deprivation to lead to long term chronic sleep problems and insomnia. It's time to go back to basics and put things right, so you can lead a consistent and sustainable high performance life that you love. Tired & Tested! 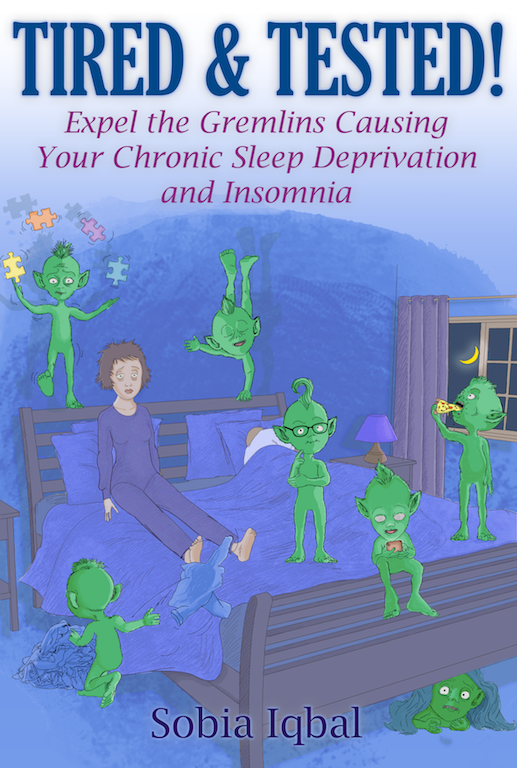 Expel the Gremlins Causing Your Chronic Sleep Deprivation and Insomnia. This is your step by step guide to super-charge your wellbeing and effectiveness with deep refreshing sleep. Sleep Deprivation: What's it Really Costing You? Click on the button below to read our blog. Are you a sole trader or SME? Not sure if & how the new EU data protection laws apply to your business? 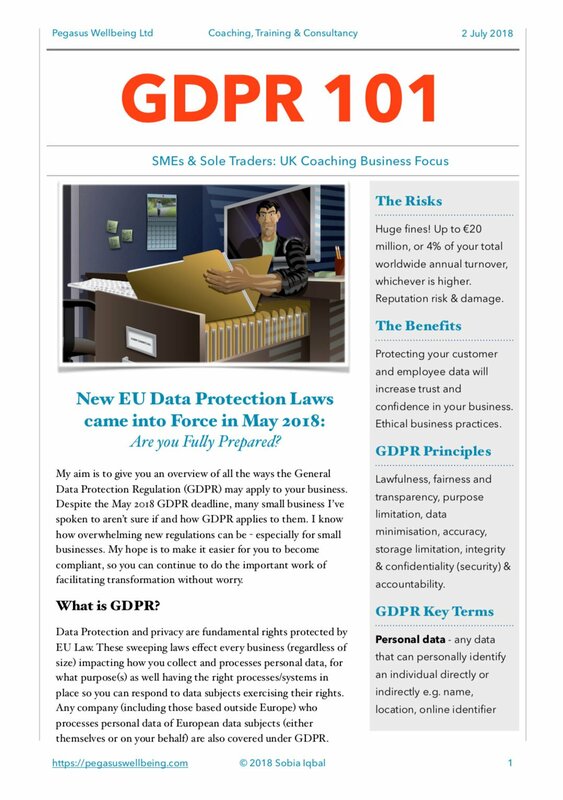 Enter your details below and we'll send you our newsletter: GDPR 101. This breaks down data protection & privacy into actionable steps that you can take right now, to help you towards compliance. Whilst using a coaching business as a case study, the information is useful and relevant to all SMEs that process personal data.